The Crenshaw MC on why his new music deserves unlimited industry resources and how he plans to stay in control of his career. Nipsey Hussle is expanding his vision. In 2010, after surviving two rocky record deals, the entrepreneurial Los Angeles rapper founded a label of his own, All Money In. 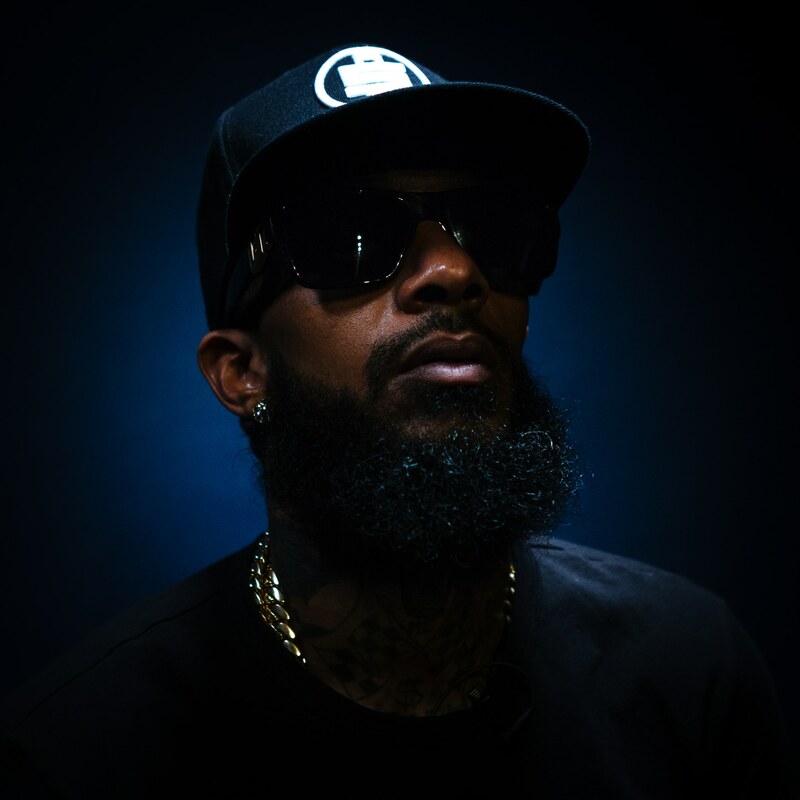 The enterprise was the home for his memorable 2013 album Crenshaw, which Nipsey successfully sold 1,000 copies of for $100 each.That innovative and self-driven approach gained him respect and support as an artist-CEO. Since then, he’s been steadfast in his plan to craft an empire on his own terms, through endeavors like his community-inspired Marathon Clothing brand. 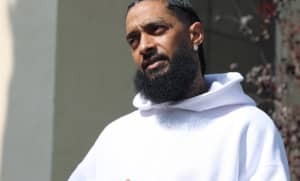 On Monday, Nipsey announced that after building leverage as an independent artist for most of his career, he’s partnering his All Money In imprint with Atlantic Records to propel his forthcoming album, Victory Lap. 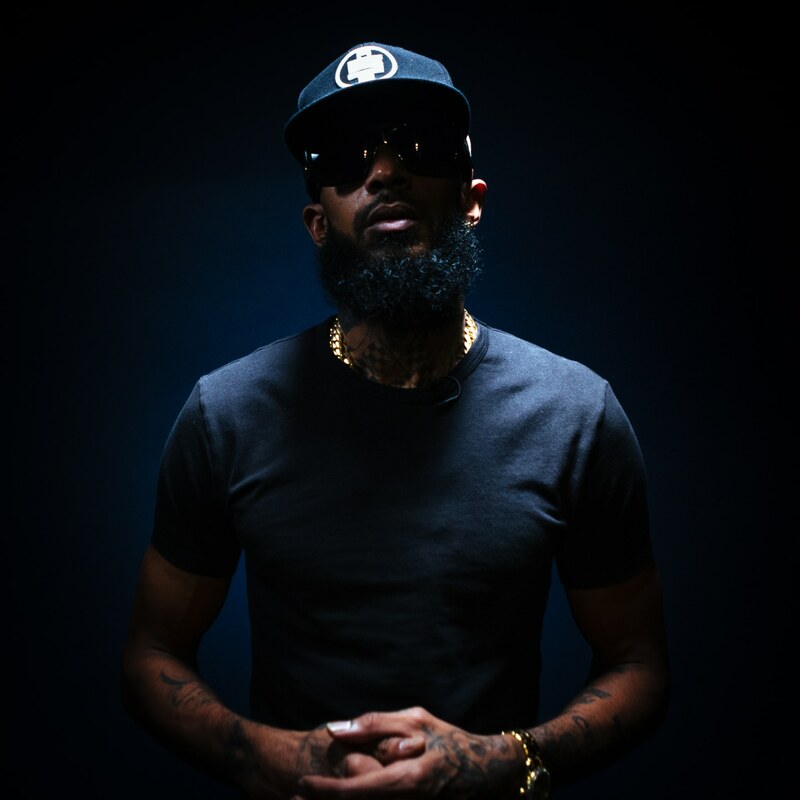 On a recent visit to New York, Nipsey and I talked about how to maintain authority when dealing with major labels, investing in your ideas, and why Victory Lap deserves this extra push. What inspired you to start the imprint All Money In Records in 2010? What does the name represent? I was inspired to start All Money In just to follow tradition of all of the people I wanted to emulate career-wise, like JAY-Z, Murder Inc, and Ruff Ryders, who were in charge of the labels that they signed to. It’s about understanding the business advantages that those individuals had based on their business arrangements. “All money in, no money out” means being a real hustler. It’s really following the rules you learn coming up playing with money and bringing that mentality into music. “Go broke on your dope” or “go all the way back in” is what we used to say; just spend it all on growing what you’re doing. I bought equipment, built studios, and bought infrastructure. It might have been time to buy cars and jewelry for the age I was and the mindset of that age but it’s about believing in what you’re doing to the point that you invest in it. In 2013, you released the Crenshaw mixtape on your own label and you did something pivotal and revolutionary by selling the project for $100 per copy. In retrospect, what did that decision reveal to you about the power of self-economics and the value of your art? What comes next after that? Do you think that type or level of autonomy is attainable more than once in this industry? I don’t look at that decision or that moment on the surface. I look at it like I took a risk and believed in my gut and didn’t get influenced by what everyone else was doing. So we can move that throughout the whole process in different ways. I don’t think you’d want to repeat selling a $100 album over and over as the campaign because then it’d look like a gimmick and it looks lazy. But at that moment it was a lot of reasons why I chose to sell it for that much, not just because I thought art should be worth more. I’ve realized that you get chosen by a group of people because they’re interested in your opinion and that you always have to be clear on expressing that, because that’s why they chose you. When you stop making decisions from that point of view and start doing things that you think are going to work, you lose the original connection. So, if you always operate from what you believe in, you’ll be good. So, what’s after that? Continue to move like that. Ask yourself, What’s the most honest thing that I’m interested in or feeling and operate from that space? How does the decision to partner All Money In with a major label speak to that? Partnering with Atlantic Records creates the opportunity to take what we’re doing to the next level, without compromising. That’s one of the reasons I took my time but this represented a perfect storm and it all aligned. We’ve been going back and forth on what it would take to do a deal as I make my moves outside of the traditional systems. And it’s just really being able to mix and master my album. Victory Lap has a real mix and master and that’s the first time that one of my projects has that. It wasn’t that we couldn’t do it but really going to the extent of having musicians in here that I can really pay to sit around and work. It’s producers that we can sample because it’s no longer just indie and now we have a partner who can do clearances for us. Even the staff — having so many people be able to make phone calls and bring designers or radio people. It’s all the resources that we have that was once just a three-man job. I had to do the projects and work it from all angles ourselves. To give the music a really fair chance to make sure that it gets is proper platform, we knew we always wanted to go back into a major situation as a partner, but we just had to get a weight back up outside of the negotiating table to do that. I was always trying to figure out what the strategy would be but to go into the next level of the game, you have to tap into a resource pool whether it’s your own resources or a partnership or reinvesting. The decision was really about me thinking about the message in the music and it deserves to have a global platform. Once I figured that out, it was just about what terms our deal would be on and being able to justify that request when we sit down. Outside of the success and support you want for Victory Lap, what’s your long term vision of this decision to partner with a major label? We had the option to do it through the Atlantic deal and at this moment, the Nipsey album and the couple albums to proceed this one will all be done through All Money Atlantic. As we work our artists and get them to a level, if Atlantic believes in what we doing and choose to be in business with us on Pacman, J Stone, or Cobby [Supreme], then that's where we'll do it. If they’re like, "We wanna see y'all make this happen outside of the building," we got that option too. But obviously Atlantic is going to be where we try to do everything but it just has to be mutual and something we all agree on and believe in. So we’re doing one at a time. What’s the value of a record deal in 2017? The value is based on what type of deal you got. It's all different type of deals out there. It's based on where you at in your career and it’s also based on how you utilize it. It's no one-size-fits-all approach to it but if you operate as the owner of your brand, you’ll know how to make decisions. You’re going to know when it's time to push your line in the independent space. You might want to stay in this direction the whole time, but the key is being in the driver's seat of your brand and knowing that Okay, it's time to go make this step right here because we done everything we can do in this space and it's my decision to make this step and I got the freedom to do it if I choose to. Or you could knock and say I'm going to keep going in this direction because the ceiling is still high over here, we can keep rising. But what's important is for you to be able to make those decisions, and if you do decide to go into a partnership or a label situation, get what you're worth, you get what you negotiate. In negotiation, you need leverage to serve your interests and the leverage happens outside of the negotiating table. This is why the indie circuit became so big because we started to see that you gotta go create your value, and sometimes when you go into that space in creating your value, you like, I'm good, this is where I want to be. I don't want to leave this space. And I felt like that, and my thing was to create the best of both worlds where we could still retain ownership as operators of indie and also have an unlimited resource pool. Atlantic has signed two of the biggest breakout stars of the year, Cardi B and Lil Uzi. What have you learned from looking at their trajectory? I'm in the industry to a degree. I'm in the game so my point-of-view is from behind the curtain so we always see if you in the game. I be in Atlanta at DJ Drama's Studio and I talk to Drama, so as Uzi built his thing, I saw it bubbling. It wasn't no overnight thing, he put a lot of work in. Cardi B put a lot of work in. I remember Dallas Martin [SVP of Atlantic Records] telling me like, "Yeah we 'bout to do a deal with Cardi." She ain't really have a record, he was just like, "She's a star." And then seeing all the work she put in, I’m not surprised. When you grind and you work, you’re going to benefit and see the fruits of your labor. It’s the display of how leverage works for an artist who’s been building for a while on their own and another who also has been working hard but got a major label deal early on. It's different points in a career, it's different objectives. Every artist wants something different out the game. So you gotta kinda zoom out and look at them over a period of time and see what the big picture vision is and what they're doing. So for me, I want to be here. That's why my thing is called “The Marathon.” I felt like I was going to be here after I did my entry to the game and just where I landed, I felt like, Alright I got a lane. I have a strong lane, I could build in this lane for years. So I was never in a rush. I always wanted to do things right and represent myself as somebody that took the art serious and someone that took the business serious also, so I had time to weigh the options and figure it out and do my best to create the situation that was ideal. What specifically about this new album, Victory Lap, made you feel like it was time to take the next steps to amplify your vision and message? I've done a lot. We made money, we toured the world, we got fans everywhere across the globe, and we build businesses in the game. I’ve been acclaimed and I been embraced by top tiers of the game but I learned that what was most important is the music. With this album, I wanted to create a music moment. We have like business moments with Crenshaw and marketing moments and like real authentic moments with my early stuff where it was like a real energy that you felt. But, I want to create a music moment and make a victory lap. I wanted to be in business with music specialists to really make sure that hypothetically, before we started it, that when we pulled it off we'll be in business with or we'll be in a situation that could maximize the value of each record and the value of the album. I got a song called "A Hunnit a Show" off the Mailbox Money mixtape and that's my mentality. It takes four-and-a-half hours to fly to New York, you have do an hour onstage regardless, you’ll miss your kids or your family for a certain amount of time out the year. Some people do it for a million a show, some people do it for a $100,000 a show, some people do it for $10,000 a show, some people do it for $5,000 a show, and what's the difference? The music. That's what I realized I'm not going out for. I'm not going to be operating in a space less than what I’m capable of. If it take three years, two years, or a year, I'm not going back out until I have the music that I know is going to represent my level.